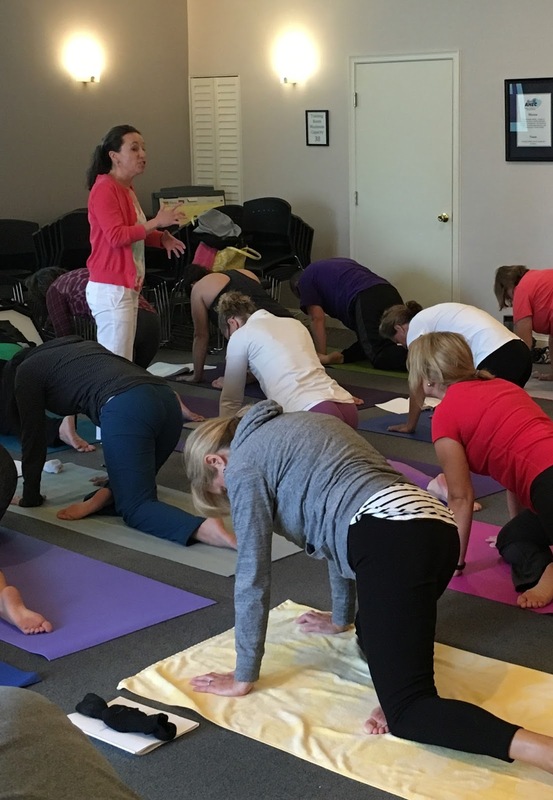 Clinical Applications of Therapeutic Yoga, taught by Trudy Messer PT, OCS, RYT, CKTP, CFMT, on April 15 received rave reviews. Due to its popularity, this course will be offered again on Friday, October 21 in the Training Room at Upstate AHEC. The four-hour introductory course was designed to assist clinicians in understanding what therapeutic yoga is and how it relates to the treatment of patients. An evidenced-based approach to therapeutic yoga was presented, as well as how to initiate appropriate effective treatment focused on therapeutic exercise and breathing techniques. This course included a combination of didactic and practical learning sessions. If you would like more information about the course or have questions, please contact Bennie Pettit at bpettit@upstateahec.org or 864-349-1162.